By 1773 Thomas Luny was apprenticed to the marine painter Francis Holman (1729-1784), giving Holman’s address at Johnson Street, St George’s when he sent his first exhibit to the Society of Artists in 1777. In 1781/82 he moved to Ratcliffe Highway, Stepney. Luny exhibited at the Society of Artists again in 1778, at the Free Society in 1783 and sent pictures to the Royal Academy from 1780 to 1793. He painted London views, portraits of East Indiamen and battle scenes. Luny exhibited no works between 1793 and 1802 and it was once thought that he served as a purser in the Royal Navy; this has now been discounted. His painting subjects suggest that he travelled, but there is no direct evidence for this except a visit to Paris in 1777. In 1791 he bought a property at 16 Mark Lane, between Leadenhall Street and the Thames, and by 1795 he was earning enough to invest regularly in government stocks. In mid-1807 he moved (probably for reasons of health) to Teignmouth, a fashionable watering place on the Devon coast popular with retired naval officers. A number of them became friends and patrons, notably Captain George Tobin, an amateur artist. In 1808-9 he built a handsome house on the harbour front in Teign Street, later called Luny House. Luny was a prolific producer of Devon coastal views, shipping scenes and naval events, despite suffering so severely from arthritis that he had to paint with the brush strapped to his wrist. 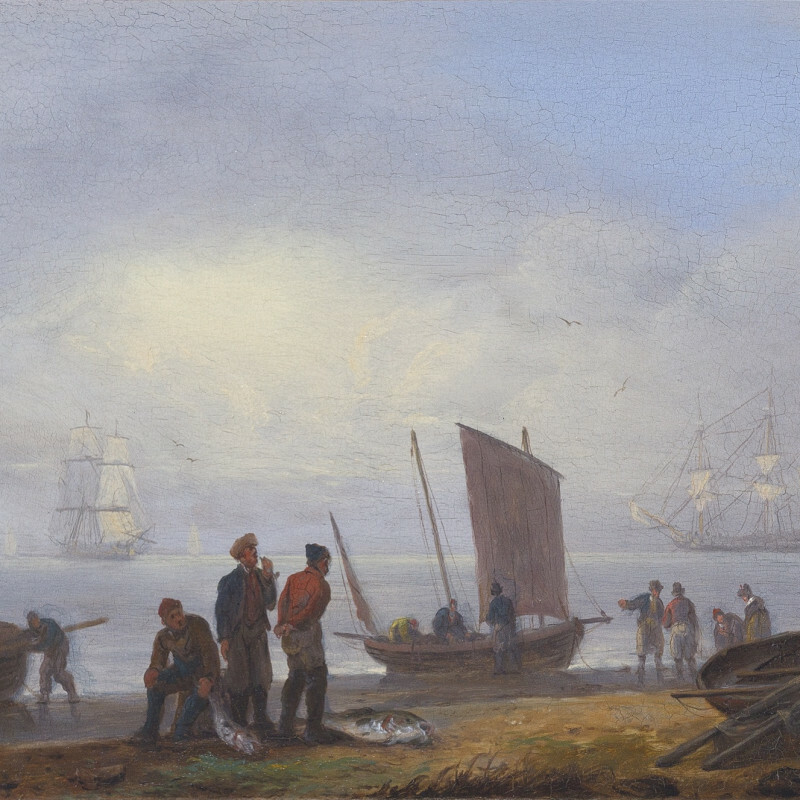 He sent a Battle of the Nile to the Royal Academy in 1802 and three paintings in 1837, the year that there was an exhibition of 130 of his paintings in Old Bond Street. The work of Thomas Luny is represented in the National Maritime Museum, Greenwich; the Bristol City Art Gallery; Exeter Art Gallery; Swansea Museum; the Peabody Museum of Salem, Massachusetts and the Library of New South Wales, Sydney.